This beautifully relaxed 35-minute class taken by Claire Yuill, is for you to do at home over the Christmas break. 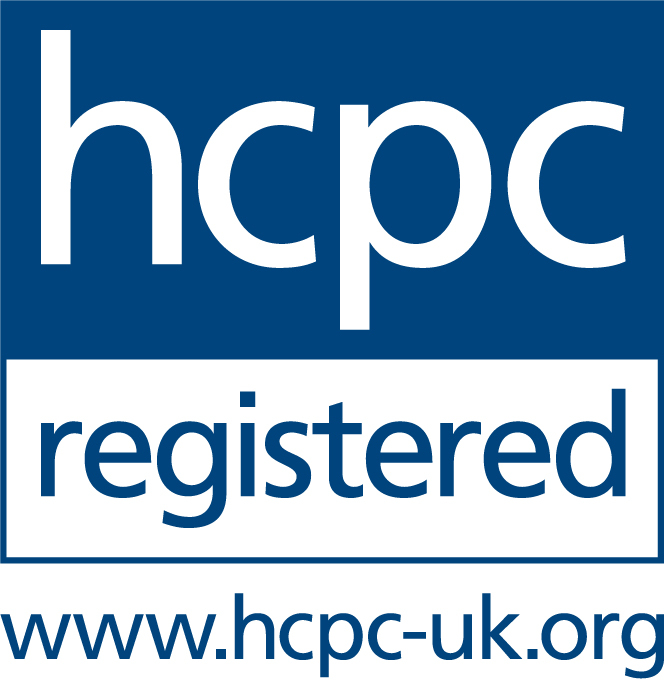 Sussex Physio Pilates is 5 years old this week and we would like to say Thank You to all of our clients and followers. We have had the most bonkers journey over the last 5 years. At the start, from Claire putting on her first Pilates class and wondering if anyone would turn up. Oh, and they did, and many of them are still coming to class today, to the opening of our fantastic new practice at the start of 2016. The team has grown from just Claire, to an amazing team of 5 Physio’s, Nicky, Heather, Eleanor & Julie. We also have Belle, our brilliant evening receptionist, practice manager Stuart and therapy dog Pippa. We’ve also gone from just 2 Pilates classes a week back in 2013, to 16 now, ranging from daytime over 50s, mummy class on a Wednesday and busy evening Pilates 4 Posture classes. We have also extended our service offering to include, Physiotherapy, Sports Massage, 1:1 Pilates, The Mummy MOT and Women’s Pelvic Health Assessments. 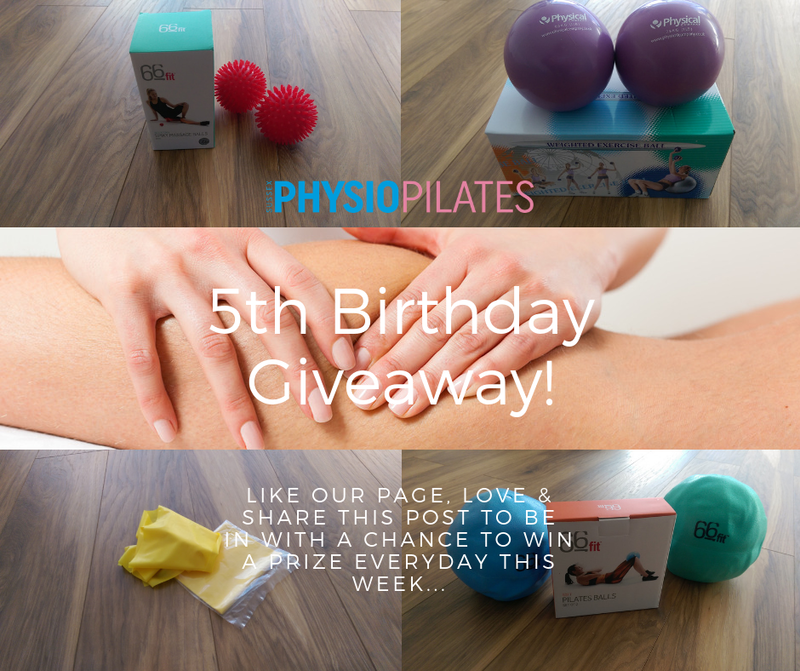 As a way of celebrating our 5th Birthday and thanking you all for the support over the last 5 years, we will giveaway one prize everyday this week (Monday - Friday) to one lucky winner each day. Everyday we will pick one lucky person to be the winner of that days prize. The winner of each days draw will be posted here at 8pm each evening, so keep looking back to see if you are one of the lucky ones. Good luck to you all and thank you for your support! Also as a thank you to you all - any Physiotherapy or Sports Massage appointments booked this week (appointment must be booked for now to the end of October 2018) will get a 5% discount. With this in mind, the Love Activity, Hate Exercise campaign aims to help you overcome these barriers through expert advice and guidance from your physiotherapist. It features practical tips for getting started and useful condition-specific insights. For more information on how to get active again, please contact us on: 01903 256 500. I bumped into a lady from home last weekend. ‘I’ve fractured my spine again’ she said ‘this time I just reached for the shampoo in the shower’. was female and post menopausal but had started exercising as part of her weight loss programme and none of the other factors seemed to be applicable to her. and don’t eat much fish or dairy. diet was supplemented showed significantly less bone turnover. The authors therefore suggested a protective dose of 1500mg of calcium per day for post menopausal women trying to lose weight. More recently a review highlighted concerns around loss of bone density post gastric band surgery (Center and White 2013). breakdown that came to fame during the Atkins-diet era. It is possible that the weight loss might have been associated with sustained increased in acid and therefore sped up the loss of bone density in a lady who already had a genetic predisposition. I’m no dietitian so turned to Dr Google because I wondered what was normal in terms of standard adult calcium intake. About 700mg it seems according to an NHS website. On your plate that might look like a whole can of sardines (100g) or 100g block of cheddar cheese. Therefore, both would need to be consumed to satisfy the recommendations of the study on post menopausal dieters for 1500mg a day!! seeking some further advice on sensible bone protection measures. Cauley, J., 2017. Osteoporosis:fracture epidemiology update 2016. Current opinion in Rheumatology. 29(2) 150-156. McDonald, H., 1998. Nutrition bites. File it under every cloud has a silver lining’….osteoporosis. Carnauba, R., Beatriz A., Paschoal V., and Hübscher, G., 2017 Diet-Induced Low-Grade Metabolic Acidosis and Clinical Outcomes: A Review. Wait for my blog on what happens when you ignore your own advice and get injured, I told Stuart last week. I had signed up for 'The Grizzly 2018' just 48 hours before it started, in the knowledge that I had only put on my running trainers twice so far in this year! I just didn't want to miss out for another year, because the Grizzly is a notorious, off road race, organised by the running club that I was part of a few years back in Devon. It has 3000 feet of ascent and takes in all the delights of East Devon's shingle beaches, cliff face stairways and waist deep bogs. Nobody could have predicted however, the arctic winds and drifts of snow that would accompany this years Grizzly. The race organisers braved the wrath of the participants (who had trained) by cutting the distance from 20 miles to 10 miles. We were urged that safety was more important than times, we needed to look out for each other out there. So we did and it was great. No I didn't' get injured. In fact I realised that although I wasn't fast because I haven't been running up hills lately, I felt strong. Twice a week circuits and plenty of cycling meant that I could trust my legs on the icy downhills and was steady on the climbs. Time didn't matter. This made me think of our marathon runner clients, who are running out of time and getting left trailing behind in their training plans. I'm not saying don't train, that is obviously not a sensible thing to do, but sometimes life gets in the way and those runs are not keeping pace with your plan. Maybe you are starting to despair about niggles that are making your training runs into a chore, maybe time pressures mean you feel guilty for missing runs, so you are skipping the strength and conditioning or cross-training sessions, or maybe you are actually already in pain but are too scared to skip a run in case you get behind on your plan. Put like that, it is obvious what I'm driving at. We can't expect our bodies to do something high impact and repetitive without the appropriate strength in our muscles, tolerance in our tendons and movement patterns that load our joints optimally, even when we are tired. Those strength and conditioning sessions should be designed to give you all of the above. Obviously there is no substitute for getting out there and running but please don't rely on quantity alone. Quality comes with strength, appropriate joint ranges and even balance. So now might be the time to book in for a Physiotherapy Assessment, so we can help you with your 2018 training plan, or even join the 2 hour Pilates 4 Runners workshop on Saturday 28th April. 2017 has been a fabulous year and we couldn't have done it without you, our amazing clients. Christmas is upon us, and with it brings a short break for the all team at Sussex Physio Pilates. All the team are looking forward to 2018 and what it will bring. We will continue to build on our Workshops next year, so watch this space for Workshop dates in 2018. Have a wonderful festive holiday and we hope to see you all in 2018! Are you able to contract your Pilates Core? Book a 1:1 Pilates Session Now! Contact us now on 01903 256 500 to secure your place! Stop what you’re doing, be aware of your breathing, how you’re feeling and just let go. Most people forget to take time out for themselves and have a moment to breathe. Today is dedicated to doing just that. RELAX! Enjoy some of the Best Ways To Unwind This National Relaxation Day. Take yourself off somewhere quiet to read a book. 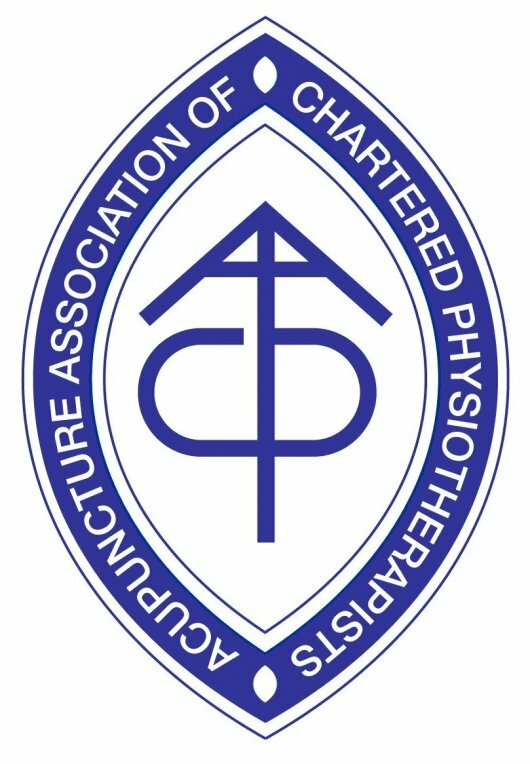 Below are 10 great insights from The Chartered Society of Physiotherapy (CSP) about Back Pain.